This year Intel Ireland will again be the MEGA sponsor of the Dublin Maker event on the grounds of Trinity College Dublin. 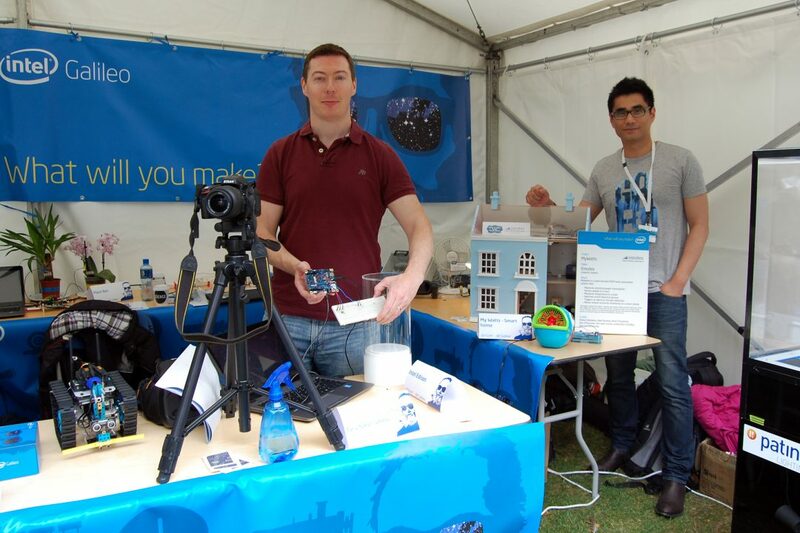 Intel supports Dublin Maker to encourage innovation to introduce young makers to science, technology, engineering, and math (STEM) in revolutionary and innovative ways beyond the traditional classroom setting. At Dublin Maker Intel will present a show and tell area where between 10 & 16 makers from all over Ireland will showcase their creations and innovations. An interactive showcase highlights Intel Corporation technology innovations that are in some stage of active research or development and have the potential to change how we live, work and play. 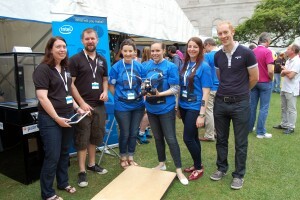 In addition Intel will be providing a Maker area containing Galileo boards, Grove kits, laptops etc. where members of the public can sit in and have a go at making something so Makers, Inventors, and Dreamers we are looking forward to meeting you at Dublin Maker. The boundaries between technology ad people are blurring why not come along to the Intel tent, make something cool and enjoy the experience. We love to see is from 8 to 80 getting stuck in at Dublin Maker. What will you Make? Transform an ordinary doll house into a smart IoT house. Through both twitter and sensors all smart enhancements will be triggered. Ideals for enhancements included lights turn on when a doll enters the house, to alarm goes off is some one opens through a window. Each of these actions will then interact on twitter to notify the user. Another cool opportunity of the our cool doll house will be enable anyone in the world interact with it on the day and trigger actions in the house using twitter. This is an excellent introduction to IoT especially for girls, where they will get a hands on opportunity to fully setup and create the smart components for the house. TED is the CoderDojo IoT robot and mascot. We will demonstrate TED including how he was developed and powered by Intel Technologies. Attendees will then be challenged and timed to drive and park TED into a designated area. In through CoderDojo style TED’s favourite language is code and you must drive him by writing some simple code instructions. The 1980’s were so cool, but sometimes it is hard to see what parts of that decade fit into the modern era. This demo will give the attendees a hands on opportunity to transform a 1980’s robot with IoT technologies. Utilising the latest technologies our aim is for this robot to move and dance like the 80’s. Tip Tap Tap enables students to play, to experiment, to learn actively through gesture and touch interaction, leverage their kinaesthetic intelligence to improve understanding and encourage deep engaged learning. Existing school desks quickly become a touch-sensing interface (at very low cost), prioritising active whole-brain learning through physical interaction. Sprinkler automated Smart Turn On/Of depending on weather forecast information of a specific location (e.g. allotments). Forecast information will be sourced from the Internet. – Smart Turn On/Off (one basic scenario example) means if the plant needs water and the forecast of the plant location says is it is going to rain then do not water wait for rain.- Sprinkler automated Turn On/Off depending on soil needs/doesn’t need water (e.g. in house plants).- (50% New) Sprinkler Turn On/Of remotely using TeamViewer phone app (e.g. in house plants). – Monitor your plants (on the screen) remotely using TeamViewer phone app (any plants). Pet Proof Alarm‘ – demonstrates an alarm system that allows your pets to roam freely throughout the house, without having to deactivate the sensors of the alarm in particular rooms in your house.